MOBA players, you finally made it to the mainstream. How do I know? No, not because you're part of one of the largest modern gaming genres. No, not because your championship e-sports matches regularly sell out arenas worldwide. I know you MOBA players have hit the big-time because there's finally a mouse that caters specifically to your "niche." 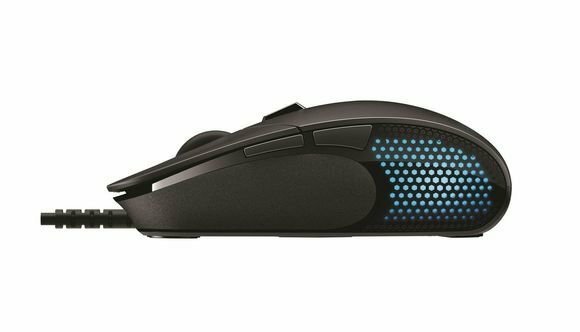 That's what Logitech claimed, at least, when it showed off its new G302 Daedalus Prime mouse to me recently, designed with feedback from players from Team SoloMid, Cloud 9, and others. The mouse is pretty stripped down, or at least when you compare it to the popular conception of the "gaming mouse." It only has six buttons—Left and Right Click, Middle Click, a second button behind the scroll wheel, and then two thumb buttons—with four on-the-fly DPI settings (from 200 to 4,000) and on-board memory for saving your preferences. And since MOBAs are all about clicking, Logitech's also tuned the Left and Right Click springs for a tighter, more responsive experience. Both the amount of force required to click and the amount of travel distance per click is less than your average mouse, as far as I can tell from my ultra-scientific "Click One Mouse, Then Click The Other" in-home tests. 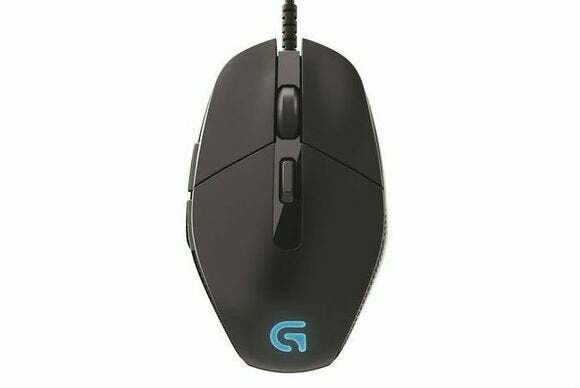 Logitech rates the G302 to 20 million clicks, and they went ahead and did the math—it's equivalent to "an eSports athlete playing up to 15 hours per day for two years," according to the G302's fact sheet. The biggest thing you'll notice though is, ironically, how small the G302 feels. Palm grippers beware—this mouse is tiny even for a claw grip. At 4.5-by 2.5-by-1.4-inches, and with a diamond-esque shape that tapers at either end, this is definitely a diminutive device. That's great if you like that sort of experience, though I admit I tend towards the heavier side of the spectrum—day to day I currently use Logitech's larger and heftier G502 with all five optional weights included. In keeping with its size, the G302 is launching with a relatively tiny price tag of $50, and should ship sometime in November. We'll have a more extensive review at some point in the future, but for now it seems like a competent piece of hardware—provided you're in the market for a compact, lightweight mouse to begin with.